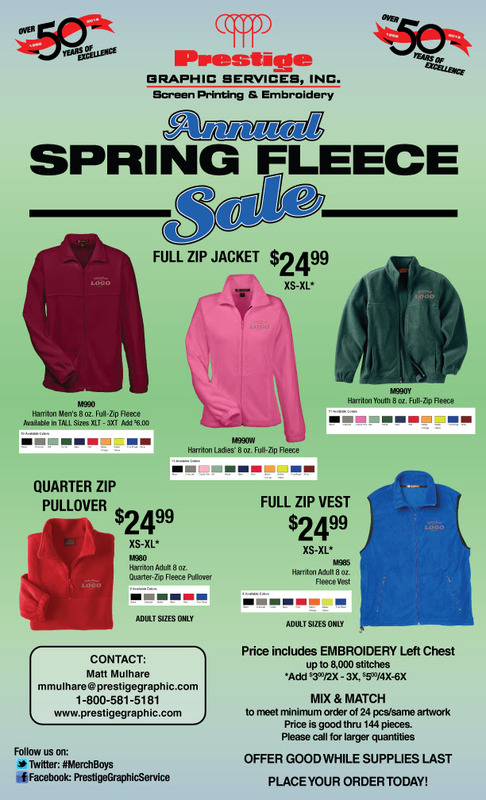 Prestige Graphic’s 2018 Annual Spring Fleece Sale is underway. 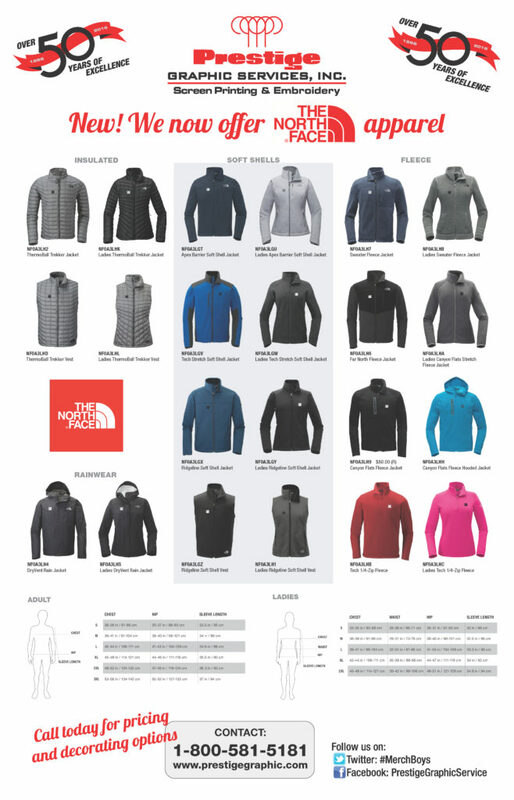 Don’t miss this opportunity to get your staff, clients or customers their own personalized fleece jacket or vest. All of these items can be customized with your brand or logo. MIX & MATCH to meet minimum order of 24 pieces/same artwork. 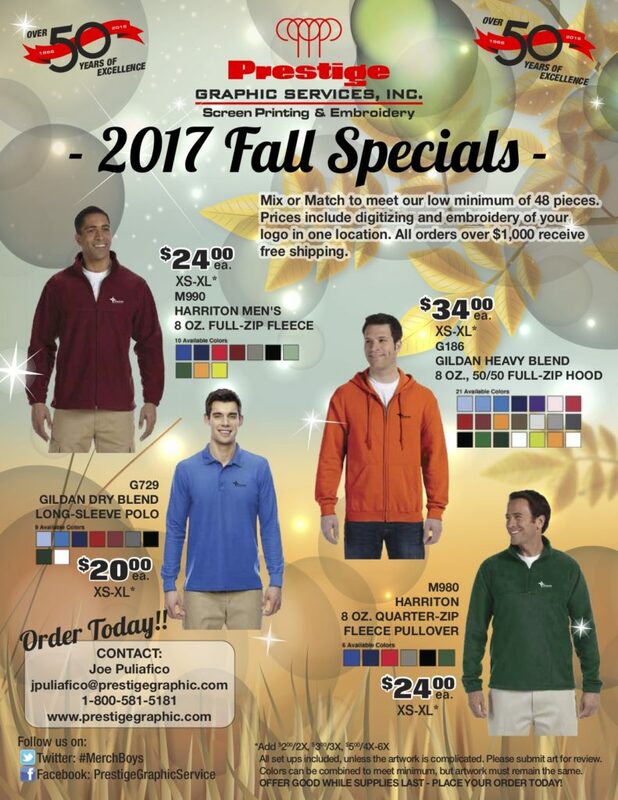 We look forward to talking to you about your spring fleece apparel needs. We look forward to talking to you about your winter apparel needs. Jump into the season with our Fall 2017 Mix or Match Specials while supplies last. Mix or match to meet our low minimum of 48 pieces. Price includes digitizing and embroidery of your logo in one location. All orders over $1,000 receive free shipping. All set ups included, unless the artwork is complicated. Please submit art for review. Colors can be combined to meet minimums, but artwork must remain the same. OFFER GOOD WHILE SUPPLIES LAST. PLACE YOUR ORDER TODAY! Contact us at 1-800-581-5181 to get your order started.